The ‘Nutknowle Herd’ was established in 1977 and careful breeding over the last 30 years has produced high yielding milkers with good conformation. 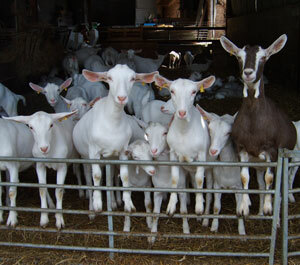 The British Toggenburg and British Saanen pedigree herd is CAE Accredited and Scrapie monitored, and has exported stock throughout Europe and Africa, as well as being the basis of many good commercial herds in the UK. Male and female weaned kids sometimes available.